In Want to Break and Remake WordPress? on the Blog Herald, I summarized this year’s WordPress/Google Summer of Code, an exciting annual project that brings together the top WordPress Community experts with college students from around the world dedicated to making and breaking WordPress so we all benefit. When I read the cute announcement by Jane Wells of Automattic on the WordPress Development blog, I thought of all the amazing things that have come out of the past WordPress Summer of Code events, then took a look at what they have on the menu for this year’s code hacker’s dream come true. WordPress has been a part of the Google Summer of Code I believe since it began five years ago. Each year, from among over a hundred student applications, about 10 are chosen to work with WordPress staff and experts, with some of them going on to become valuable members of the WordPress development team. The incredible inline documentation and code work by Jacob Santos is just one example of the fine work the students have done. 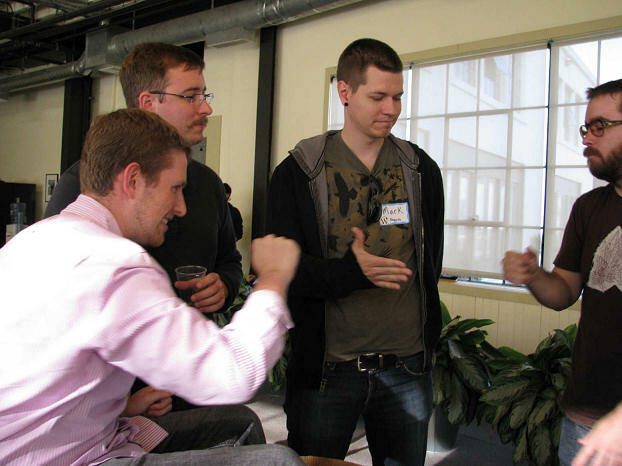 Each year, free and open source software companies vie to be one of the recipients of the mentoring program sponsored by Google. The students submit applications for the project of their choice from among only 150 free and open source software projects chosen. The project team leaders narrow their choices down based upon the proposals, skills, and expertise of the students. The students are paid a stipend of USD $4,500 to cover expenses and time to dig into the code from May through August. This year’s deadline for student applications is April 3, 2009 at 19:00 UTC, so you don’t have much time to get your application in. Among the items proposed are three that really excite me. In 2008, Automattic released the WordPress Video Solution Framework, a non-Plugin just for WordPressMU to improve the handling and transcoding uploaded videos. A discussion on the WordPressMU forums included tips for installation, tips, and recommendations for this exciting path for uploading and managing the load videos put upon a site. When you upload a video to many of the free and paid video hosting services, the video is converted or “transcoded” from one format to the requirements of that video service. Many will take AVI, WMV, MPG, and convert it to Quicktime, Flash, or other formats for faster streaming and the needs of that system. With the WordPress Video Solution Framework, WordPressMU functions or WordPress Plugins can hook into it to improve video uploading and processing, allowing users to host videos on their own servers, a boon for those using WordPressMU blog networks. With the demand for video on blogs, I see this as a start in the right direction, especially as server sizes increase and costs drop. I’m nervous about hosting video off-site, outside of my control and ability to protect it. If YouTube or other video hosting service goes down, there goes your video and all the links you counted on. If this is improved in WordPressMU sites, it’s possible it might make its way into the core or as a Plugin for self-hosted WordPress blogs. While we wait for the joy of converting and hosting our own videos, the WordPress Summer of Code list includes digging into the Media Library of WordPress to make it easier to manage multimedia such as images, audio, and video, but also to improve the features overall. I’m eager to see the gallery feature improve, as well as the ability to add images, slide shows, photo streams, random images, lightbox effects, image bars, and more image manipulation and displays within WordPress Themes that work independently from Plugins and Themes. Not sure we’ll get them all, but I can dream. What I am most excited about with this project is improvement to the uploading and management of images. Matt Mullenweg brags that he’s uploaded thousands and thousands of images to his blog, but I struggle with my small batches and am terrified to attempt to “import” the thousands of images already sitting on my server. Can I even import them into the new WordPress media format and storage structure? I haven’t found a way. I’m certainly not going to sit through hours of the long time “crunching” of images in small batches when they are already sitting there on my server. The labeling and organizing of images stinks. There are no categories, tags, or methods to group or sort your images. There is now a search option, but what if I forget the file name or didn’t put in a title. How would I find it? I’d like to group images together in interesting ways, maybe sorted by tags or categories, to display them in galleries independent of the post they were uploaded to. I’d like to mix and match images easily from within the media library and showcase those in gallery form. Why not? There are now image recognition software and web app services. Why can’t something like this or such services have the option to be integrated into our WordPress blogs? The Monologue WordPress Theme has an algorithm that detects the color range of an uploaded image and displays the Theme’s colors for that post to complement the color scheme, like a mat board around a framed picture. Why can’t we skip the changing of the entire color scheme on a per post basis and just have it frame the image with a complementary “mat board” for pretty? Again, why not? While some of what I want is probably best serviced with a Plugin, but I’m thinking out of the blog post image box here. The Summer of Code is about brainstorming, right? Dreaming the possible and letting the hackers hack away to turn our dreams into reality. Actually, my dreams for improving the image and multimedia functionality in WordPress is really down to earth and simple. Please, oh, please, fix the damn screwy IMG tag automatically created in the image upload process. I’d really like to see the format for the HTML IMG tag cleaned up to comply with Web Standards for Accessibility. WordPress enforces a title which goes into the title attribute of the Image tag. The caption becomes the ALT attribute, a required element in the Anchor tag. It also puts a text caption on the image. What if you don’t want a caption? You are forced to switch to HTML code mode in the Post Editor and add the ALT to the image and/or remove the caption SPAN by hand. This needs to be switched. Make the “title” become the ALT attribute and the caption be the caption and/or title if necessary. This would save so much time and energy spent editing the image links to conform with web standards, for those who still care. I want the simple ability to float an embedded video to the right or the left with the text wrapping around it. I want to create a gallery of videos, or at least a bar within a post. I don’t ask for much. I think these simple things should be natural functions of including multimedia within a blog post or blog. I can wait for the bigger bells and whistles, but let’s start with what should have been in WordPress several versions ago. I spend a lot of time talking with and helping WordCamp organizers and sponsors. For three years we’ve dreamed of having a single site that helped WordCamp volunteers produce and promote their event. One of the projects on the WordPress Summer of Code list is such a platform. The dream is to create a BuddyPress/WordPressMU/bbPress integration to create a new community organizing platform. Using the new WordCamp site as a base, WordPress mentors want to create a “one stop shop” for WordCamp events and organizers using WordPress and Automattic tools. Think of the possibilities. All WordCamps and WordPress Meetups hosted under one roof. No hosting charges. If they can get a deal with an event registration service, or create their own, no longer will WordPress fans have to pay the costs for event registration out of their own pockets, hoping their event will pay them back. The costs of the venue and other fees are still there, but the registration will have a unified, easy-to-use interface and be one less worry. Imagine all the features could be offered to WordPress fan groups and events, all there for the choice rather than brainstormed during the event development. Calendars and schedules with timelines to help volunteers, speakers, sponsors, and participants track the process leading up to, and even after, the event. Social networking extended profiles with discussion and messaging services. Special user permissions to allow organizers, participants, speakers, vendors, sponsors, and others to access only the areas they need to provide the information about their part in the event, taking a little of the work load off the organizers. Want to share a ride with someone or a group of folks coming from your neck of the woods to the event? Need a roommate at a hotel? Want to open your home to someone coming from out of town to the event? Message boards and forums could link people with needs with people meetings needs. What about live streaming? Videos of the event and speakers? Video interviews? Podcasts? Tracking live blogging, public images like flickr, Twitter streams, hashtags…Adding functionality to make the handling of the social media fire storm around every WordCamp and WordPress event would make the process easier and more fun, not only for those attending but for those watching from afar – around the world! Honestly, as so many WordPress projects, news, and information is spread all over the web, it’s hard to find, let alone keep up, with the various WordPress events, especially international ones. Having a centralized WordCamp and WordPress Event site and/or network would be a boon, and a huge draw for the WordPress Community. I dream of a one stop shop to track what’s happening in the WordPress world. This could be an exciting step in that direction. A platform like this wouldn’t be restricted to WordCamps, but it’s a good testing ground to begin with. Imagine being a band, traveling Broadway production, theatre, school, Tweetup, meetup, or any other social event or interaction group. What you could do with such a platform – wow! That’s exciting stuff coming out of WordPress/Google Summer of Code! Remember, students must get their WordPress project application in by April 3, 2009 at 19:00 UTC in order to participate in the The Google Summer of Code for 2009. Lloyd Budd will be coordinating the WordPress project, so get his blog into your feed reader along with the other WordPress Summer of Code sites so you can track the development of the various projects. Everyone within the WordPress Community is invited to lend their support and energies to the project as well. You can start by offering WordPress Ideas or vote on the suggestions of others. If you are currently involved with any of the WordPress projects, or would like to be, listed, contact the mentors of those projects to find out if you might be of service. There are many ways to get involved with the WordPress Community volunteers and fans. Don’t forget that WordPress users like to work with WordPress users, whether on projects like the Google and WordPress Summer of Code or WordPress Meetups and events around the world. There are WordCamp and WordPress events probably forming in your area, so check out the lists on the Blog Herald WordPress News, official WordCamp Central site, The WordCamp Report, Yahoo Upcoming events for WordPress, WordPress Meetups Upcoming Events, and Upcoming: Public events tagged with “WordCamp”. They need sponsors, helpers, web designers and developers, video and podcasting whizbangs, clean up crews, ticket takers, food servers, t-shirt hander-outers, schwag stylists, speakers, hosts…the list is long and they need all the help they can get. Get to know your fellow WordPresser and you’ll find a new friend. This entry was written by Lorelle VanFossen and posted on March 24, 2009 at 10:43 pm and filed under WordPress, WordPress Events, WordPress News with tags coders, google summer of code, hackers, how to use wordpress, multimedia, summer of code, video, wordcamp, wordpress, wordpress code, wordpress events, wordpress help, WordPress News, wordpress summer of code, WordPress Tips, wordpress tutorials. Bookmark the permalink. Follow any comments here with the RSS feed for this post. Post a comment or leave a trackback: Trackback URL. I’m excited! Can’t wait for better media management in WordPress… would love to be able to manage and optimized videos for search engine marketing. Great post about the damn video plugin. I am so much looking for such solutions always. I wish the the plugin gives me the power of storing the videos in the best compressed format. And by the way, best of luck for all the students and programmers for participating in the code competition. I am also so much looking forward to the dream of creating an integration of BuddyPress/WordPressMU/bbPress resulting into a community organizing platform. @mukund: You understand that the Video Framework isn’t a Plugin but a “framework” that will work with Plugins. It’s a process of working towards transcoding and processing video to be held on the server and embedded within the blog. Plugins will hook into that framework. I agree. It’s very exciting and will help so many go straight from raw video to uploaded, viewable video without a third party converter. @Chris Hajer: Glad to know that there are others who think that’s a dumb and useless way to structure the image HTML tags. > cleaned up to comply with Web Standards for Accessibility. > on the image. What if you don’t want a caption? > those who still care. I thought *for sure* I was the only one who thought this needed to be changed completely. It all seems so backwards to me. Why not just label the fields title and alt, and figure out the caption from the title if you don’t manually enter a caption. And, what’s with converting spaces in the title to hyphens, and always making it lower case? It’s not a slug: it’s a title! One person has already submitted a similar request to WordPress.org, but it doesn’t seem to have a lot of traction. If it’s important to you, vote it up, rate it, make noise about it, whatever you need to do. It would be better for the software to do nothing that to do what it does now which requires that I undo most of it. About media file management issues: with a dangerously large number of plugins activated on my WordPress blog, the uploading of images was the first thing to break in WordPress 2.7.1. for me. All I need to do is to click the image upload icon above the text window, and the page crashes back to the blog’s home page. After disabling some plugins the feature works fine, again. I know that this issue may be down to only one faulty plugin, but I don’t have the time to figure out which one. My solution is to disable plugins that are admin-related and only activate when needed. I know media support is a long wanted thing on WordPress, my girlfriend runs a blog on it and is constantly complaining about how bad media support is. Not good when she is trying to show off pieces from her jewellery business! @Muse: I don’t understand. There are tons of helpful WordPress Plugins for galleries, lightbox effects, and all kinds of things. I’d like to see these more in the core, especially the customization of galleries, but photoblogs are big deals for WordPress users. So I would think she wouldn’t have so many issues unless you are using an old version of WordPress. I used many wordpress plugin for image galleries but all the plugins are not having the options mostly used for search engine optimization. The plugins should provide exactly what a search engine needs….